life throws you lemons MAKE YOUR OWN HAND SCRUB! Did you ever imaging making your own scrub? Well now you are in the time it takes you to hop, skip and jump you can DIY-do it yourself. 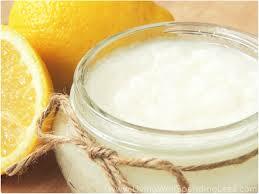 Stir the sugar, Epsom salts, lemon essential oil and almond oil together until well mixed. Pour mixture into a clean container with a tight fitting lid. to use, first wash your hands, then massage a teaspoon or two of the hand scrub all over your hands. Rinse well with warm water and pat your hands dry. Makes 8 oz. This scrub is great for calluses and rough areas on hands and keeping them soft. Remember this scrub is NOT edible! This is my standard scrub, I add honey. It is the best.